Grab your favorite beach read, call the cabana boy for a daiquiri, and soak up the sand and sun. 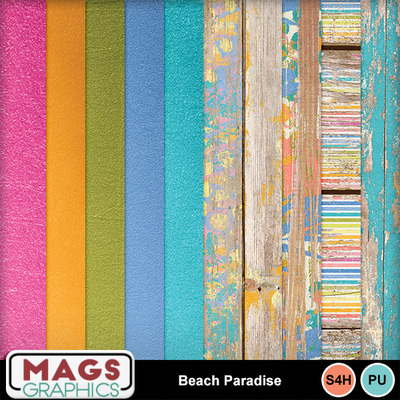 This is the BEACH PARADISE Collection! The bright palette will compliment any of your summer photos. Don't miss any bit of this collection! This is the SPECIALTY PAPER Pack. It contains 5 ombre and 5 wood papers.